The official launch date might still be a few months away, but that has not stopped the upcoming Galaxy S9+ from showing up on the latest Geekbench benchmarking test. 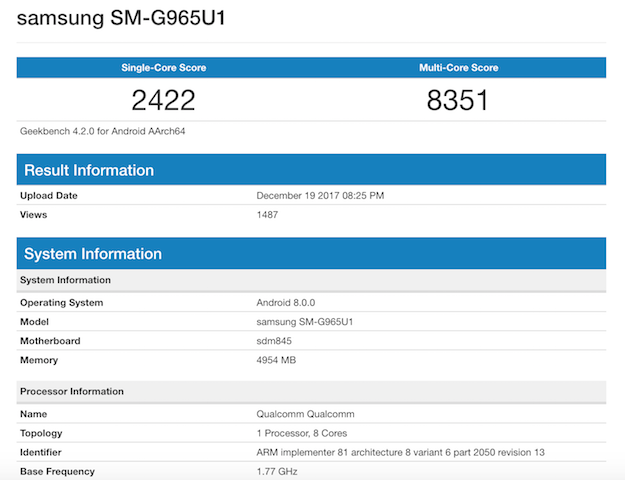 As you can tell from the screenshot included, the performance is quite remarkable as the upcoming flagship handset from Samsung managed to score 2422 on the single-core test and 8351 on the multi-core test. 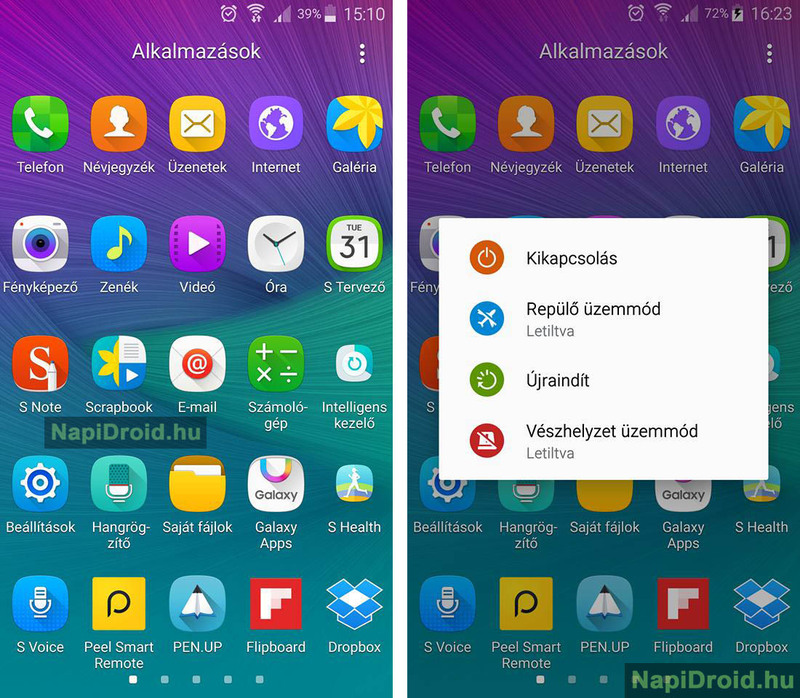 Both of these scores are the highest ever scored by any Samsung device. Aside from letting us know how powerful the Galaxy S9-series will be in 2018, it also gives us a clear idea about the Qualcomm Snapdragon 845 chip's computing powers. 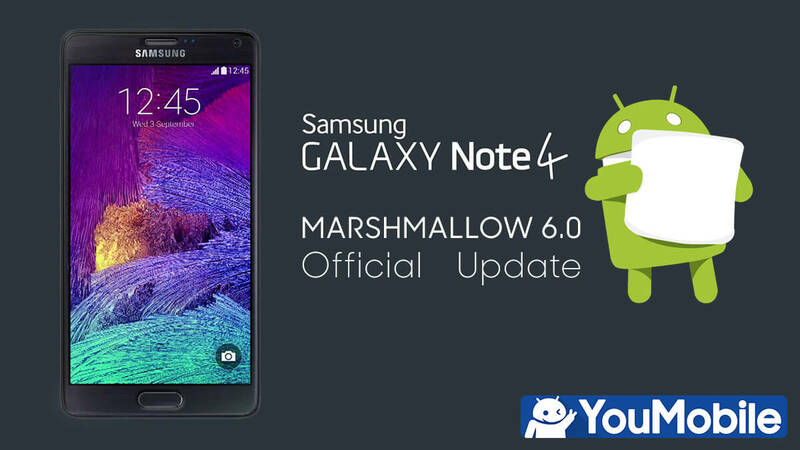 It would be quite interesting to see how Samsung's Exynos equivalent stands up to this chip. In addition to showcasing power, this test result also managed to leak two other details about the Galaxy S9+. 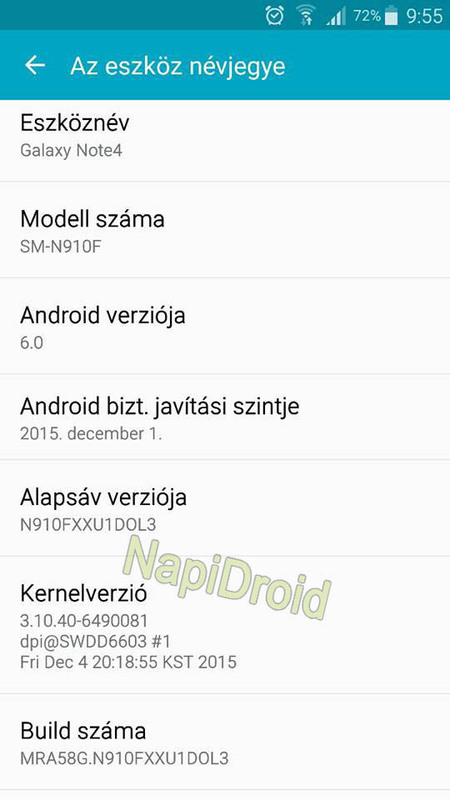 Firstly, it shows the model number of the handset as SM-G965 and secondly, we can see that the test was done while the handset was running Android 8.0 Oreo. We will find out more before the MWC 2018 arrives in February. Hot News! Some users noticed some Ad banners on Google's website that redirects them to 3 different Videos. 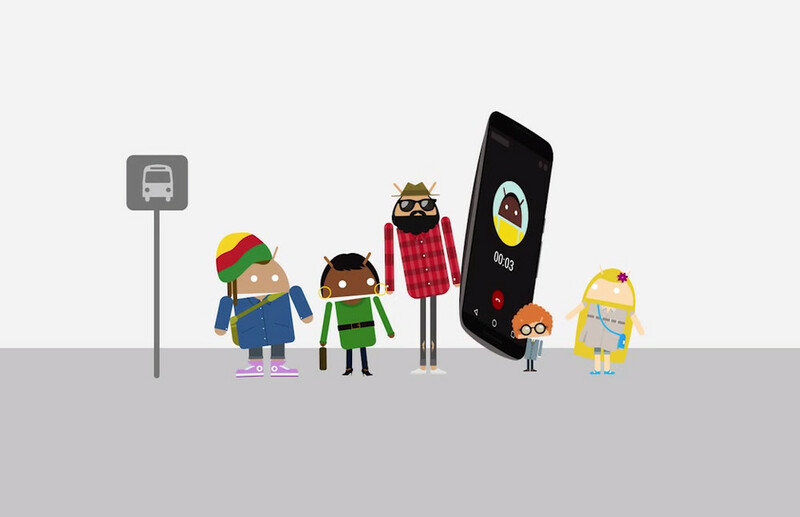 The Videos has the New "Android Logo" on them along with an appearance of Android L and Nexus 6 too. 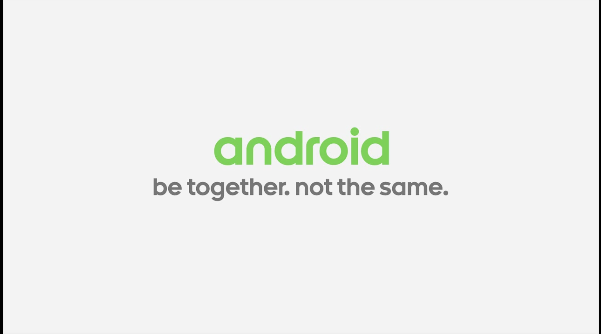 From what we can tell, that marketing campaign will feature Androidified people of all types, coupled with the slogan "be together. not the same." Clearly, Google wants the world to know that everyone can use Android, not just nerds or elitists or hipsters or the rich or poor. It's a platform with devices for everyone. Google already got the videos link down. 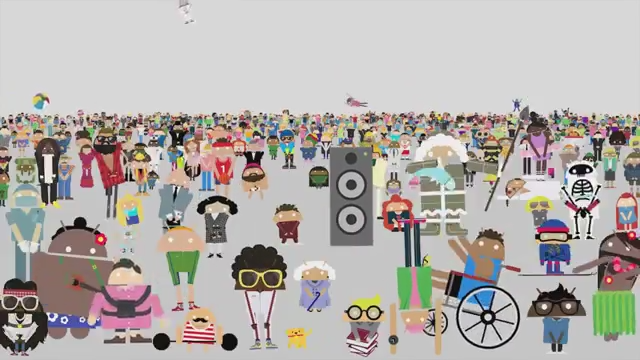 You can clearly see "Android L" along with "Nexus 6" in the first Video Below.